Bone Broth Diet Plan: April 29th to May 19th! Eat Savage is a weekly meal delivery company serving Toronto & most of the GTA. 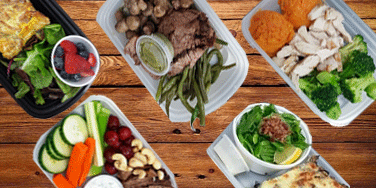 Our chef prepared, fresh, ready to eat meals are made with high quality ingredients. Every Eat Savage meal is free of gluten, soy, preservatives, refined sugars & artificial ingredients. There are no minimums and no contracts to sign. To get started, simply click on the menu button above and then click on meals to browse our menu of paleo, keto & eat clean meals. Click on broth if you wish to browse our organic chicken or grassfed beef bone broths. Or choose our chef's choice options and let us pick the meals for you. We handle all the shopping, prepping & cooking. Meals are delivered on Mondays. Choose your meals from our online menu or order "Chef's Choice". Orders due by 4pm on Fridays. Choose to pick up at one of our free pickup locations OR have your meals delivered directly to your home or office in Toronto & GTA. 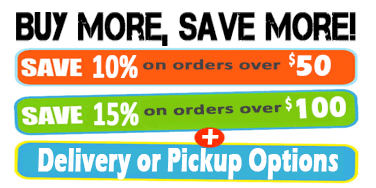 Our meals re-heat quickly & easily on the stovetop or in the microwave. So like magic you have healthy, nutricious meals ready in a few minutes.